Hello, I am here to release my standalone JTAC script for mission makers to use freely in their missions. 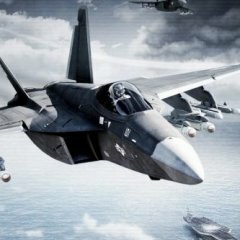 What this script does is allow players to call in air strikes, artillery strikes, and a few other things without having to have a bunch of other players controlling helicopters, airplanes, and artillery vehicles. I have found this to be useful on servers with a small number of players and on missions where you don't want certain vehicles to be freely available. How does it work: The script works by adding a JTAC menu option to players who have the JTAC flag enabled. The player then needs to use a laser designator to aim the rounds they wish to fire from the drop down. The more powerful the round, the longer they will have to aim. The rounds will be delivered and the JTAC guns will go on a global cool down. The more powerful the round, the longer they will have to wait before being able to fire anything again. This will force the player to make smart choices about when and what to fire or suffer the consequences when the guns aren't ready and they could really use it. If there is more than one JTAC player, they will have to coordinate, because they share the global cool down. What can the JTAC player fire: The JTAC player will have a diary entry added to their map explaining all of the possible fire missions they can request. Each of the fire missions have their own accuracy, target acquisition time, reload times, and number of rounds fired. The current available options are Explosive Bullets 20mm 30mm HE 35mm AA 40mm GPR Shells 82mm AMOS 120mm HE 155mm AMOS 155mm CLUSTER Grenades 20mm HE 40mm HE 40mm HEDP Bombs 250 lb SDB 500 lb GBU12 580 lb CLUSTER 750 lb CLUSTER 1100 lb CLUSTER Cruise Missile Cluster Missile Barrage Vorona 130mm HEAT 84mm MAAWS 44 HE Vorona 130mm HE 230mm HE Cruise Missile Mine APERS Mine APERS Bounding Mine APERS Mix Anti-Tank Mine SLAM Directional Mine Anti-Vehicle Mix Demine Non Lethal Red, White, and Blue smoke screen White smoke screen (Medium and Large) Flare cloud - for lighting up the night over a target Chem lights - for lighting up the ground around a target Strobes - For marking a target with strobes Night Signal - A mixture of smoke and chem lights for signaling at night. The code: The script files and a sample mission can be found here: https://github.com/Brians200/EPD-JTAC/releases/tag/V1.21 The code can also be found here: https://github.com/Brians200/EPD-JTAC How to use: Copy the EPD folder to your Mission Folder In the server's init.sqf, add the following: call compile preprocessFileLineNumbers "EPD\VirtualJTAC\init.sqf"; On each of the players you want to have JTAC abilities, add the following: this setVariable ["JTAC",true]; Screenshots: Screenshots of using this script aren't super exciting, but here are some anyways. Change Log: V1.1 Replaced RPG-42 75mm HE with 84mm MAAWS 44 HE. Bombs are no longer spawn overhead and drop straight down. Now they are spawned about 4km and glide in. Missiles are no longer spawn overhead and fire straight down. Now they are spawned about 4km away and fly in. 155mm CLUSTER is no longer spawned overhead and is shot in like the rest of the shells. Bullets, Grenades, and Shells now spawn about 2.2km away, up from 1km away, to give them more time to fly in. (pre requisite work for have a tracer effect) Fixed logic with new players resetting the reload timer to 0. V1.2 Added global cooldown and acquisition modifiers. Fixed JIP not having the JTAC menu. Added the ability to create mine fields. Added the ability to destroy mine fields. Added support for drones to call in fire missions. Swapped BIS_fnc_MP with remoteExec. V1.21 Fixed bug where none JTAC players can access the JTAC menu by using a UAV. (Thanks schweyer and bigshot!) Please enjoy and let me know your feedback! The Lowlands Warrior team has started a side project based on SimCentric's FST 'Fires & Strikes' for VBS3. With the real life knowledge and experience about Close Air Support and Groundbased fires we decided to push this project in order to give the community something that brings them closer to reality. What does it do? The endgoal is to have an external application aswel as an ingame UI to control Close airsupport and artillery according to NATO standard procedures. Aircraft will fly realistic attack paterns and can loosly interpet your 'talk ons' What will the first release be able to do? We plan on having a simple in game UI where the most essential items can be filled in and strikes will happen accordingly. Type 2 controls, Grids, final attack headings, weapon type, egress headings and cleared hot calls. How can you help? We know how it works in real life. And we kind of know how we want to make it. We have OK scripting experience but we are looking for master scripters!